The most efficient way to consume your cannabis indoors. 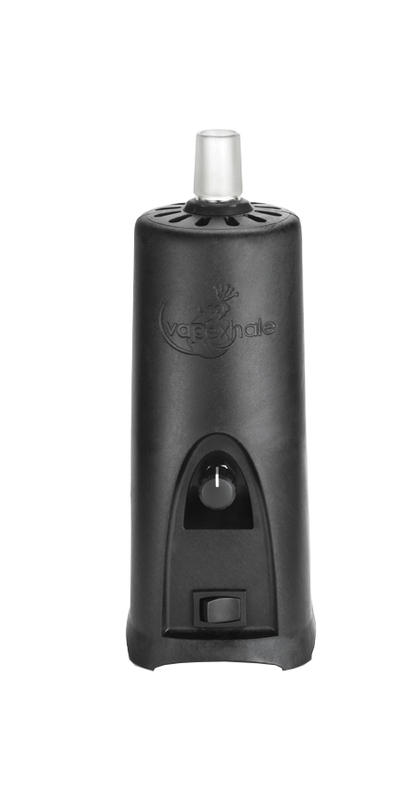 The VapeXhale Cloud Evo can do more with less weed at a lower price than some of the other top-tier desktop vaporizers. With the hydratube attachment, the VapeXhale Cloud Evo becomes one of the best desktop vaporizers on the market when it comes to function. You have a few different functioning glass designs to choose from. Pros: There is an auto shutoff with sleep function. If it ever tips over, it will automatically shut off. Depending on the starter kit you choose, you have different options when it comes to water attachments. Regardless of your choice, the vapor bong rips will leave you feeling more medicated than ever before. The all-glass air path makes vapor smoother. Cons: Best used with a water attachment which can break. Not the best device for passing around with friends; better for one or two people to use. Lightweight and doesn’t feel as durable or sturdy as the more expensive vaporizers on the list. Why We Like It: Innovative and best functioning desktop vaporizer in its price range.